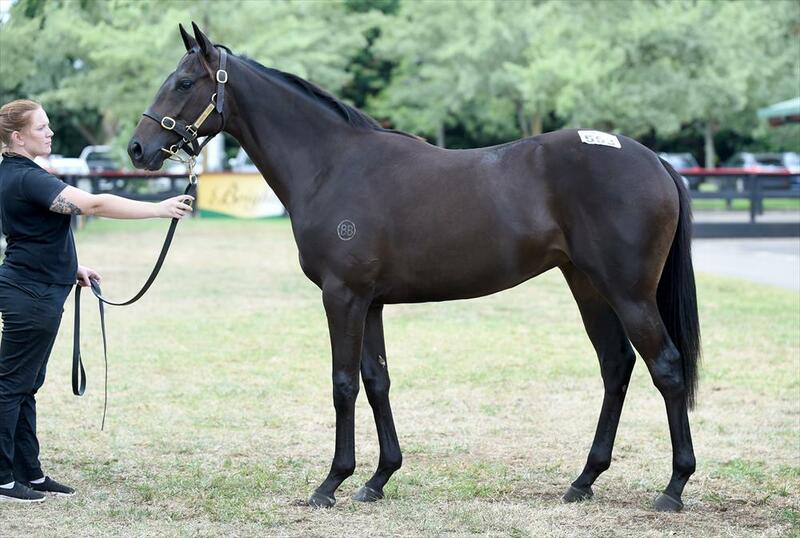 Champion Thoroughbreds & John O'Shea secured lot 553 from the Blandford Lodge draft at the 2018 Karaka Sale, a lovely filly by first season sire SACRED FALLS out of the Savabeel mare SAVASONG. SACRED FALLS has hit the ground running having his first 2-year-old winner in New Zealand on the 10th September. In the breeding barn after being awarded leading first season sire at the 2017 NZB Weanling sale with his first crop of yearlings being offered in 2018. SACRED FALLS was a four time Group 1 winner and duel Doncaster Mile Champion. During his prolific race career, Sacred Falls defeated 25 Group One winners during his seven stakes wins and was the only horse to beat Pierro in Sydney. Her dam, SAVASONG was a two time winner over 2100m and also a 4th placegetter at Group 3 level. She is the half-sister to BETTER THAN EVER- 17 times winner & Champion 2, 3 & 4 year old Singapore. This filly is also from the family of stakes performers FELINES & SWISS ECHO. "She's a lovely filly with a lot of scope. She presents beautifully and is typical of the quality that Sacred Falls is producing from a good family." John O'Shea commented after the sale.